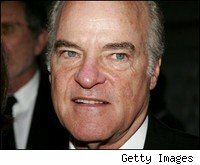 KKR & Co., which gained famed in the 1980s from its then-record buyout of RJR Nabisco, today reported its first loss in about five years. As Bloomberg News noted, the New York-based firm posted a $1.2 billion loss for 2008, compared with pretax economic net income of $815 million the previous year. KKR's assets under management plunged 11 percent to $47.3 billion at the end of March, Bloomberg said. The closely held company, which last year announced plans to go public, has seen its access to credit dry up as banks tightened standards. Many private equity deals also are buckling under the weight of excessive leverage. "KKR released the information to provide investors with an update on its financial condition as it continues to consider buying out its Amsterdam-listed fund, KKR Private Equity Investors LP (KPE)," according to Reuters. "The deal would be key to KKR's plans for a U.S. stock listing." Annual fee income at New York-baesd KKR fell 27 percent to $640 million in 2008 while total assets under management dipped to $48.5 billion from $53.2 billion, the wire service said. Times are tough for the folks author Tom Wolfe dubbed "the masters of the universe" in his masterpiece Bonfire of the Vanitites. Earlier this month, Blackstone Group (BX) reported a smaller-than-expected quarterly loss but nonetheless the firm controlled by billionaire Stephen Schwarzman said its ability to do leveraged deals is still limited. "We have invested successfully in high- and low-interest rate environments, liquid and illiquid credit markets, and periods of economic expansion and recession," the company said. "This consistent performance is no accident. It is a consequence of experience and a disciplined approach to long-term value creation. " I bet KKR would take those words back if it could.